First, let’s talk about the prizes. 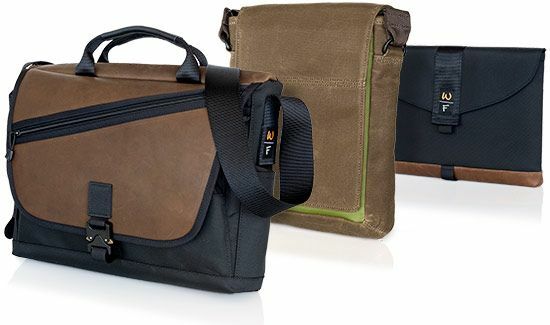 Waterfield Designs (website here, ‘Like’ them on Facebook here) is a San Francisco-based bag maker who have been making some of our favorite gadget bags for years now, and we’re absolutely delighted to give away three of their fashionable, good-looking and sturdily constructed luxury bags to our first, second and third place winners. Our three prizes: Waterfield Design’s Cargo Bag, the Muzetto Outback and a Sleevecase. 1. 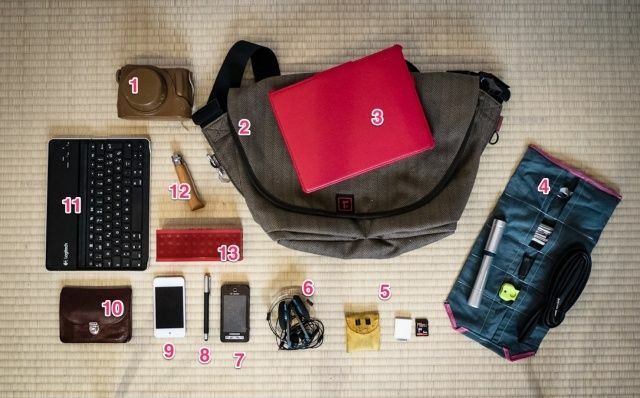 Take your gadget bag and pack it up with all of the gear you use to get through the day. 2. Now unpack it on a flat surface, arranging everything neatly. Here’s an example of what we mean. 3. Take a picture of your bag and all of its unpacked contents! 4. If you want, label everything in the picture numerically. You can do this however you’d like, but we recommend Skitch, which is free and easy-to-use on both the iPad and Mac. 5. Upload the labeled picture to the web somewhere. You can do this however you’d like: Imgur is a quick and easy way to host a picture on the web. That’s it! Once you’ve done that, you’re officially entered… next week, we’ll take the three “best” entries and award out our prizes. And by “best” we mean the entries we like the most, as simple as that, so be creative! Only one entry per person, so make it count! We’ll be announcing the winners next week. Contest runs unti Monday, August 27, 2012. Why not enter now, and while you’re at it, talk with your fellow Mac Cultists in our awesome Cult of Mac Forums, the place-to-be for discussing all things Apple?